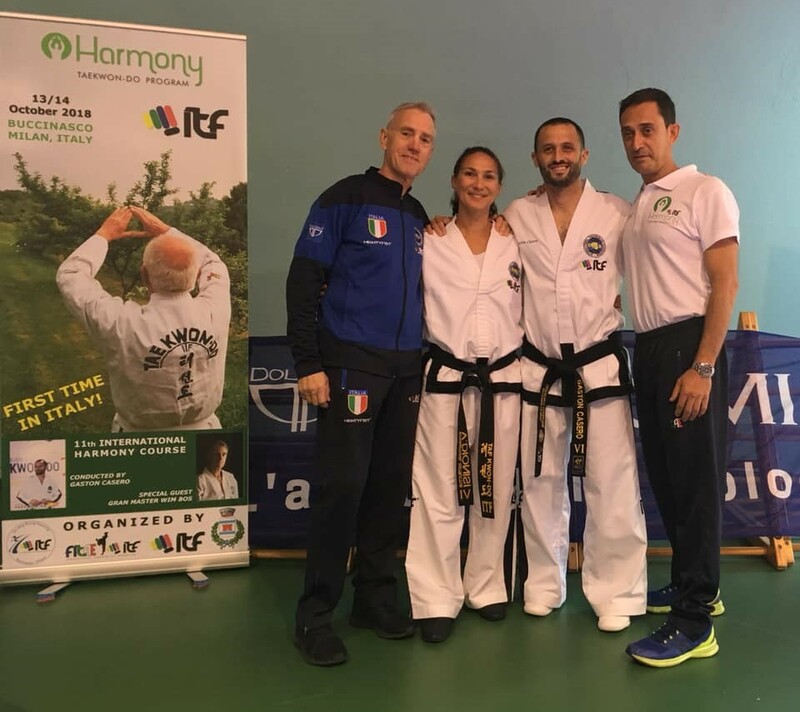 The 11th ITF Harmony Course was held on 13th and 14th of October in Buccinasco (Milan area), Italy. The Harmony course is the specific program that ITF designed together with a team of professionals to teach Taekwon-Do to seniors. The Course was organized by FITAE (the Italian Federation), GM Bos and Master Saccomanno, and was conducted by Sabum Gastón Casero. Participants from Italy, Norway, Switzerland, France and Belgium were present. There was a special guest from Scotland, 79 years old that practices Taekwon-Do in Spain and who came specially for the course. On Sunday there were also senior helpers that came to take part in an Harmony class. The course was well structured and theoretical sessions were alternated with practical ones. Participants also had the opportunity to discuss, share knowledge and ideas. On Saturday evening there was a very nice banquet where we celebrated the course and the 25th years of the school of Master Saccomanno. It was emotional and fun as well. I really recommend this course. In addition of the practical and technical part, it offers room to generate debate and to understand Taekwon-Do in a different way.